Paper Dashboard React at www.creative-tim.com is a device-agnostic, modern responsive design that is customizable. It's designed to work well on desktops, laptops, tablets and mobile phones. If you are a react developer or a react website owner that needs to work within a dashboard and want to have a pretty sight while doing so, Paper Dashboard React is for you. 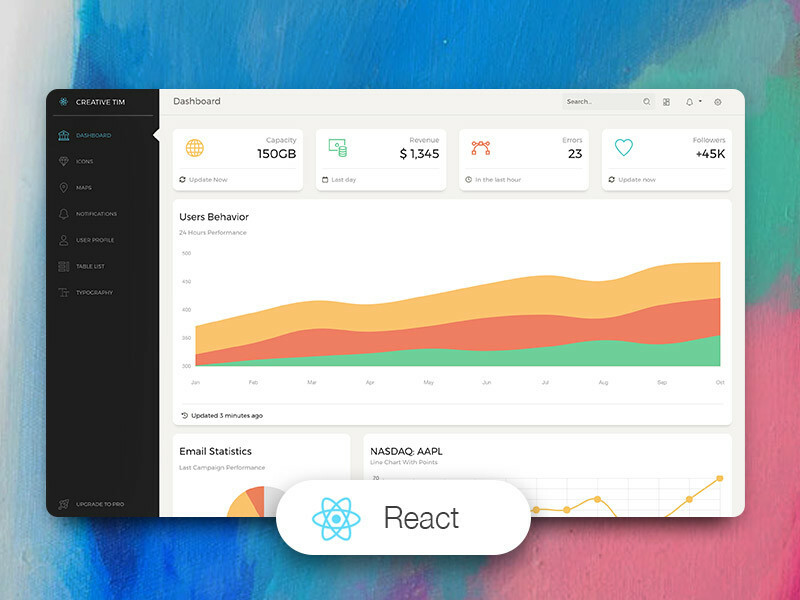 Paper Dashboard React is a Bootstrap Admin Panel which combines soft colors with beautiful typography and spacious cards and graphics. It is a powerful tool, but it is light and easy to use. It has enough features to allow you to get the job done, but it is not crowded to the point where you can't find the files for a specific plugin.